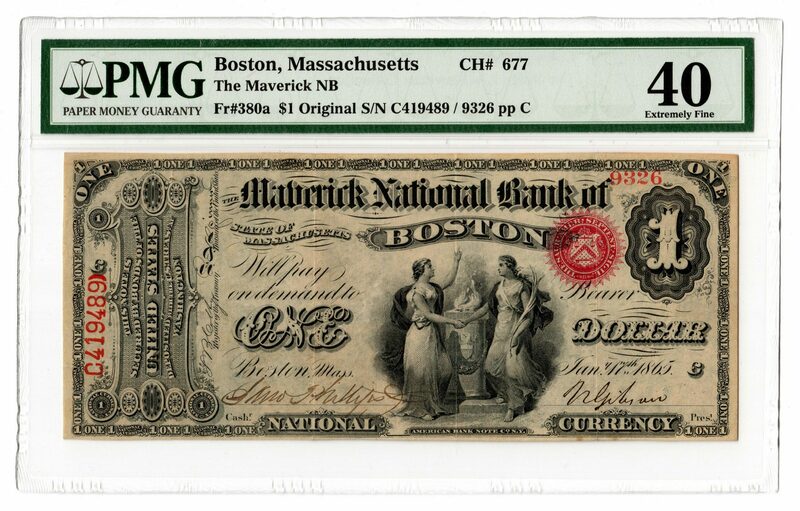 $1 bank note dated 1865 from The Maverick National Bank of Boston, Massachusetts, depicting the "Concordia" vignette of two women grasping hands before the Eternal Flame, obverse. Designed by T. A. Lieber and engraved by Charles Burt (Scotland/New York, c. 1823-1892). "The Landing of the Pilgrims" engraved by Charles Burt, reverse. Serial # C419489/9326 pp C. CH # 677. FR # 380a. 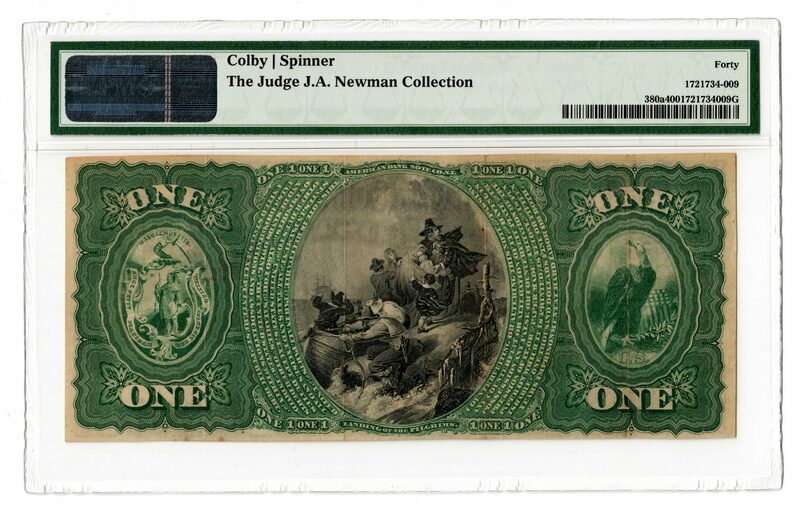 Colby/Spinner signatures. PMG graded 40/Extremely Fine. Provenance: the collection of the late James A. Newman (Nashville, TN, 1892-1964). CONDITION: PMG graded 40/Extremely Fine.